In the Absence of Natural Light reveals the way in which light becomes apparent with interaction, as people walk through multiple “planes” of color in the fountain. 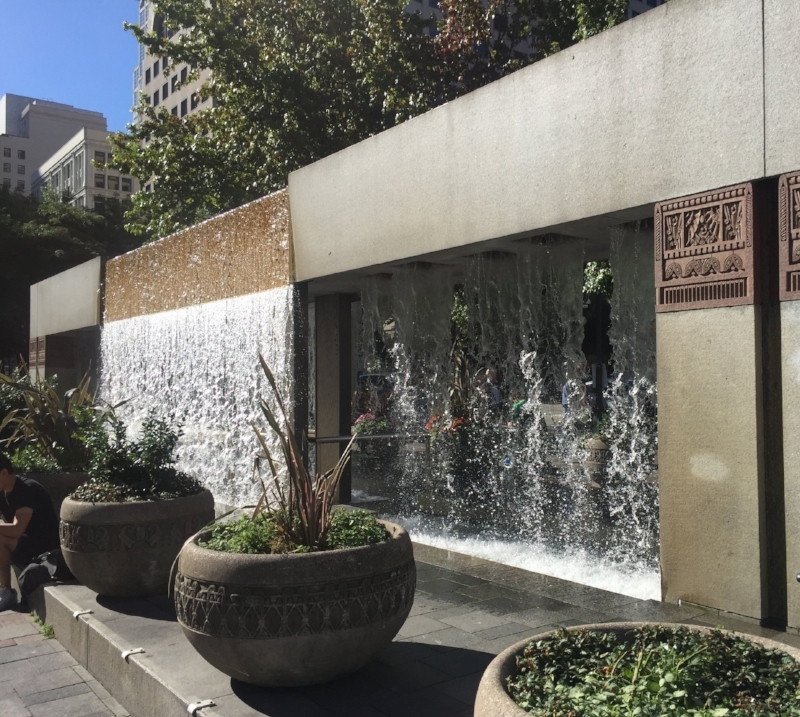 A prominent water feature in the heart of downtown Seattle, the fountain, originally designed by Robert Maki (1989), is turned off during the fall, winter and early spring months. This new piece will replace one element, 'water' with another, ‘light' to create a year-round beacon for the city.